MLM Public Relations is located in Staten Island, New York and is licensed to do business in the State of New York operating as an S Corporation with New York State and New York City MBE/WBE status. ​Founded in 1999 to provide a broad range of public relations services that include traditional story placement with print, television, radio and the internet-based outlets, MLM also provides custom writing for social media content, press kits, brochures, newsletters, and websites. MLM develops and manages social media platforms for a variety of clients. Experience working with both nonprofit and corporate sectors as well as governmental, programmatic and community-based arenas. Monitoring of the social media, print, radio, internet and television to look for opportunities to interject a client’s particular message, vision, or project into news stories. Writer and editor for mass communication pieces i.e. newsletters, website and eblasts. Creator of fact sheets and press releases that shape a story into “hacks” that can be used both for social media posts and as part of stories being written by reporters. Preparer of talking points and remarks and well as letters to the editor for executives and business owners. Ability to extract the human interest story and impact message from most any scenario as I believe that human interest is the universal key to any mission. Development of content by interviewing key staff and researching facts to deliver a piece that represents the clients on multiple platforms including traditional news and social media. NYC Commission on Human Rights including providing copy for the Commission’s LGBTQ Op-Ed, their middle school-age human rights brochure, and their Xenophobia Op-Ed and Q & A.
Subcontractor for University at Albany (SUNY) as a W/MBE enterprise providing media relations. Stop & Stor. Storage facilities located in 4 boroughs of NYC. AppleMetro (owners and operators of Applebee’s Grill+Bar restaurants) public relations consultant. New York Center for Interpersonal Development public relations consultant. College of Staten Island (CUNY) developing story ideas that resulted in full page articles. 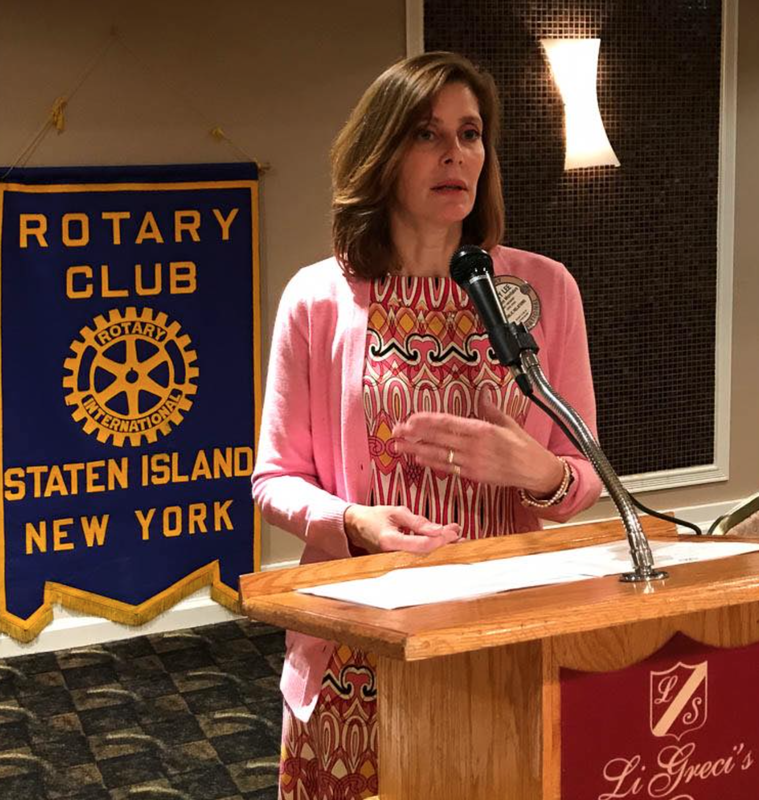 MaryLee Montalvo speaking at the Rotary Club. She has been a longstanding member of the Club that assists the community and individuals. MaryLee Montalvo and her family presented the second annual Rene’ I. Montalvo “Take it to the Limit” Scholarship for athletic pursuit to James Scarangello and Austin Diaz. 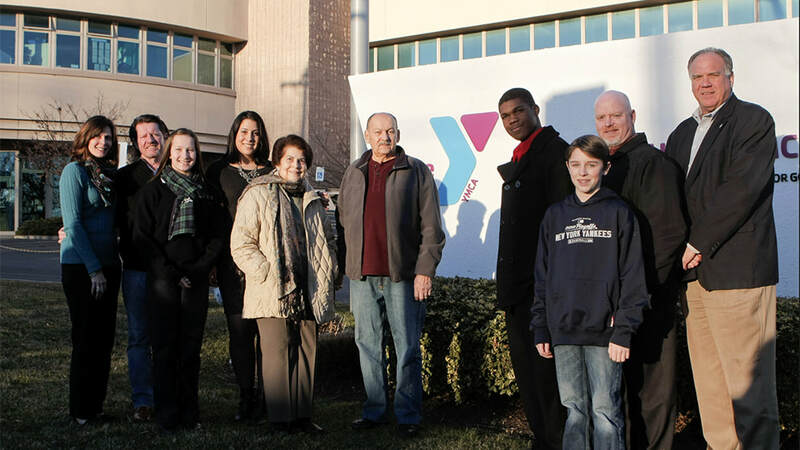 From left: MaryLee Montalvo, Mark Loffredo, Rheannon Loffredo, Marisa Montalvo, Mary and Israel Montalvo and YMCA executive directors, Joe Verhey and John Semerad. The Staten Island Children's Museum has broken ground on a state-of-the-art picnic pavilion and outdoor performance space. 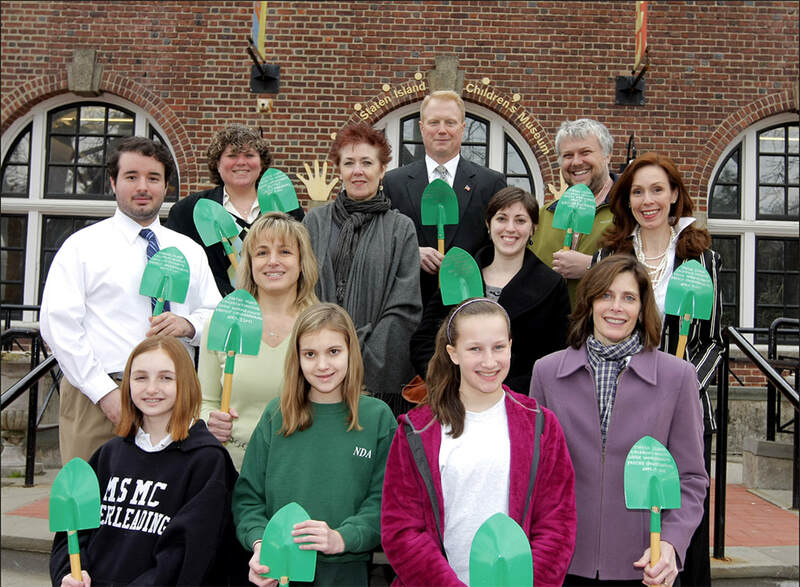 MaryLee Montalvo (lower right) serves on the museum's Board of Trustees.